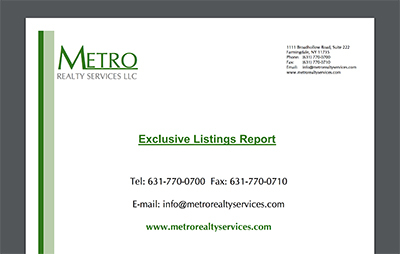 John Pujia is a licensed real estate broker in the State of New York and is currently Senior Managing Director with Metro Realty Services. He joined Greiner Maltz 1979 as a sales and leasing agent of industrial and commercial properties in the Nassau and Suffolk County areas and later in 2013, became a partner in Greiner Maltz Realty LLC. He has been a member of the National Real Estate Institute with the designation of Senior Certified Valuer (SCV), a member of the National Association of Real Estate Appraisers with the designation of Certified Real Estate Appraiser (CREA) and a member of the International Organization of Real Estate Appraisers with the designation of International Residential Real Estate Appraiser (IRCA) and Manufactured Housing Appraiser (MHA). John’s knowledge relative to the value assessment of real estate is a true asset in advising and negotiating on behalf of his clients, which include Graham Field, T.W. Comcorp., Marisa Christina, The Town of Oyster Bay, Nassau-Suffolk Lumber, Magna Labs, Ericsson and Grumman Aerospace, DuPont Merck, Lawrence Union Free School District, Seaford Union Free School District, Deer Park Union Free School District. 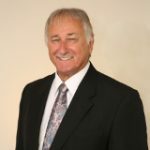 John graduated from Hofstra University with a Bachelor of Business Administration Degree, marketing major, in 1971 and worked for the Nestle’s Company before entering the Real Estate profession.